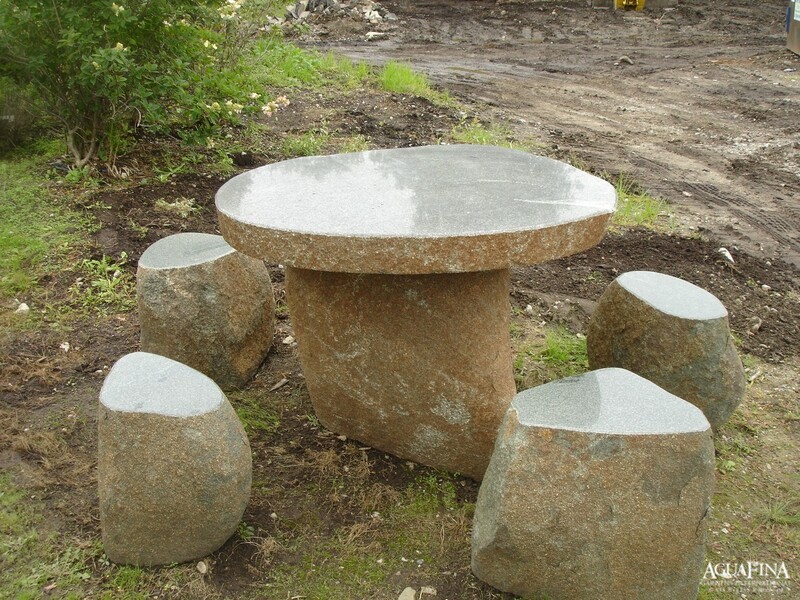 All stone furniture is hewn from natural granite boulders. 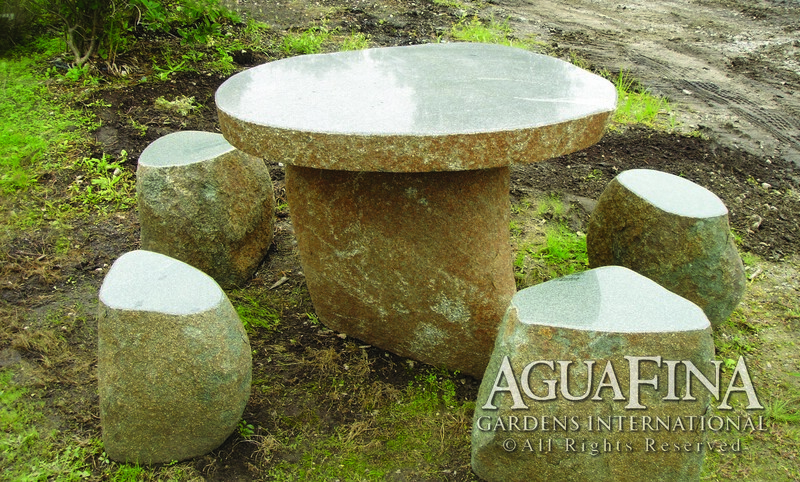 The outside surface is left in its natural state, while the top of the table and stools are highly polished. Available in a choice of dark grey or dark green/grey.